Erectastep crossover industrial metal stairs in an outdoor energy facility. 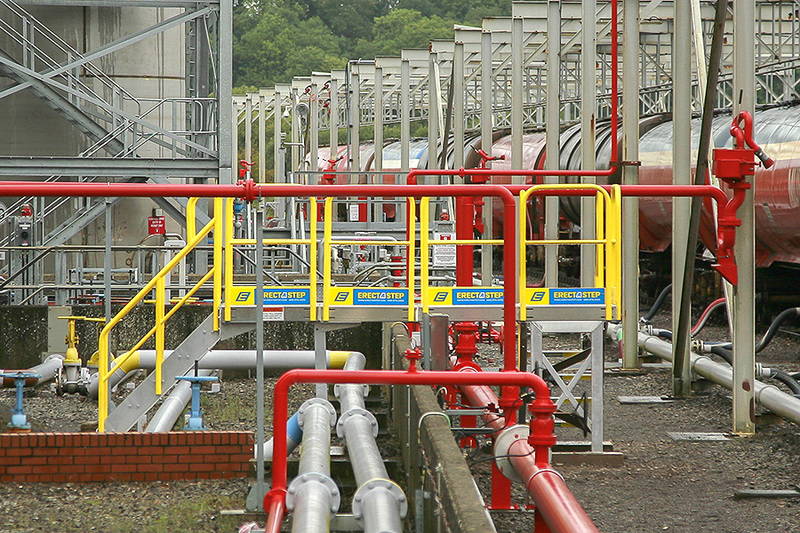 A platform allows viewing and access over piping as well as the ability to configure the stairs to enter and exit in multiple directions. Quick response on all matters. Quick response on all matters. It is working well for the application that was needed.